The Co-op has announced plans to open 100 new food stores across the UK in 2018, creating 1,600 jobs. 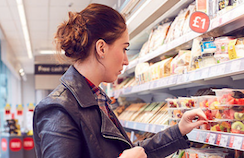 The Manchester-based community retailer will invest £160 million in new stores and makeovers for a further 150 of its outlets. More than 20 new stores are set to open in London, and up to 18 stores are planned for Scotland including Glasgow, Edinburgh, Forres and Kilmacolm. Rhayader (Powys) and Bryncoch (Neath) will be the first of 10 new stores in Wales. Other new stores are lined up for Blackpool, Bristol, Chesterfield, Crewe, Leicester, Manchester, Nottingham, Plymouth, Southampton and York. The news follows the announcement last month that the Co-op reached an agreement to become exclusive wholesale supplier to the 2,200 stores across the Costcutter Supermarkets Group network from spring 2018. And members of Nisa Retail also voted in favour of the Co-op’s offer to buy the wholesale and convenience retail specialist, a move which is conditional on Competition and Markets Authority (CMA) approval. Jo Whitfield, Chief Executive of Co-op Food said: “The Co-op is positively responding to the changes occurring within this dynamic sector. Stuart Hookins, Co-op’s Director of Portfolio and Development, said: “The Co-op’s extensive acquisitions and refit programme is a fundamental part of our food strategy. “With over one million new active members joining us in the last year, we are always looking for new locations to get closer to where our members and customers live and work and to meet their shopping needs conveniently.